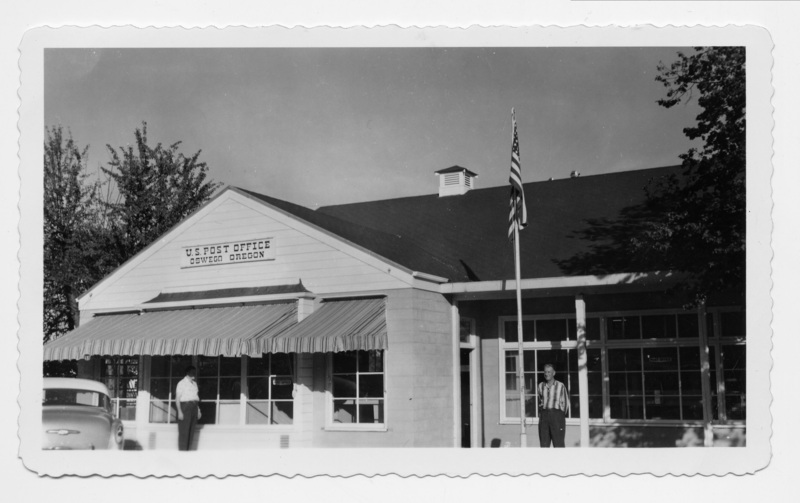 Description sign on building: U.S. Post Office Oswego Oregon. Deckled edges. Physical Description H 3 1/2" x W 5 7/8"